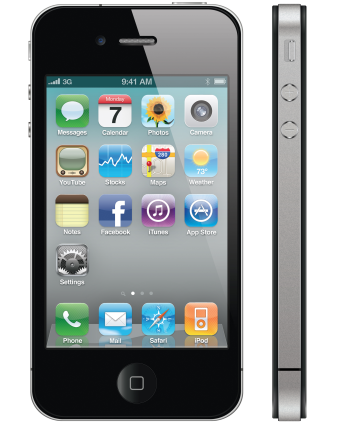 Both the Smartphone Rental and the iPhone4 Rental options offer data capabilities as well as wifi. Be sure to try to use free wifi whenever possible. When free wifi is not available, remember, certain applications use more data than others. For example, video Skype and other streaming use enormous amounts of data while checking emails and browsing much less. Please refer to the Calls and Features tab for exact rates. Plus the price of one (1) recharge voucher ($29.00) which will be automatically added to cart. Rent a National Geographic Travel Phone and make and receive calls and get data access worldwide with great rates. Our easy to use rentals feature excellent voice service in over 200 countries and unlimited free incoming calls in over 70 countries worldwide, including all of Europe. Our service is similar to AT&T, T-Mobile, Verizon, Sprint and other carriers but without the high costs. Your rental includes a US phone number as well as a European phone number. If you want to keep your current phone number, simply forward it to the new US number provided with your rental. We offer three rental options. Our Smartphone Rental features an Android handset allowing travelers to browse the web, check emails, download their favorite Apps such as Google Maps, Whatsapp and others. The iPhone Rental offer these capabilities plus, you can use Skype. If you only need to stay connected by voice and SMS, the Standard Rental is the most popular option. As the service is pay as you go, you will always be in control of what you are spending. You can add a certain amount to your intial order or you can add call credit as needed toll free 24/7 from the handset or, you can request the auto top up feature which automatically adds call credit before your account runs out of credit. Call credit is available in $29 denominations. When traveling, our dedicated US based customer service center is available toll free 24/7 from the handset. Whether you are a frequent business traveler, or a tourist seeking a reliable yet affordable cell phone solution, renting the Talk Abroad International Travel Phone will cover you in 200 countries. If you receive your cellular rental missing any of the listed items, please contact us immediately. You will receive a fully charged Rental Phone, complete with a convenient travel pouch and international chargers and plug adapters and simple instructions. Your rental also includes a prepaid return label. If you have any questions, please call us or email us. Your phone is charged and ready to go. All you need to do is, once you receive your package, follow the activation instructions. This is a 2 minute procedure. We will send you a prepaid return label with your package. Please retain it and, upon return from your trip, drop off the package (as per instructions) within 2 business days from the last day of your rental period. Cellular Abroad will charge late fees if the return shipping date is later than 2 business days from the last day of your rental period. For more information, see Cellular Abroad's full Terms & Conditions. For more information, see Cellular Abroad's full Terms & Conditions. Hi, My wife and I used the Cellular Abroad services in 2008-2009 when we backpacked around the world for a year. We were very pleased with your services after getting a new 2009 SIM card mailed to us as our phone did not initially work in South America (Peru, Chile, and Argentina) with the 2008 SIM card that was provided with our phone. Upon receiving the new 2009 SIM card, the phone was a very nice resource moving forward on our travel around the world. It was amazing how we were able to have economical cell phone calls with our family back in the USA while we were in very rural areas, major tourist destinations, hostels, and just amazing places all around the world. Thanks for helping make our trip a success. Just wanted to comment on the great service you provide. You folks are an A+ outfit. I ordered your sim and voucher card for the Bahamas and received them the very next day. Everything worked as promised and without a hitch. Unfortunately for my traveling companions, they had Cingular World roaming and could only receive calls. They ended up borrowing my phone! Once again, thanks for the great product. Thank you for your excellent service. I will refer you to two other people who will be traveling to Europe. I just wanted to say thank you so much. My son would have had no cell phone (he's a minor) to call home with, if it weren't for your going the extra mile. This is such a comfort to us. I will always use your company in the future & will recommend it to everyone I know. Again, thank you for your patience and your help. Loved having this service available. I will tell all my travelling pals about you. Thanks for the excellent product and service. I found the phone to be of great use on my trip to Finland. The reception was incredible! I will certainly consider using Cellular Abroad if I travel overseas again. Thanks again. My daughter decided to travel with a friend to Europe after their high school graduation. We thought it would be a good idea for them to have cell phones to contact each other in the event they became separated, and to make local calls. We did research whether to rent or purchase phones. We decided to rent phones from Cellular Abroad, using your convenient and well-priced companion plan. The phones arrived right on time for their trip. When they arrived in Europe, they had no problems whatsoever with the phones or making and receiving calls, even from us at home in the U.S. When it came time to purchase additional minutes of calling time, I sent an e-mail to customer service telling them I'd like to purchase $25.00 in additional calling time for each cell phone, and asking for instructions how to purchase the time. In reply, customer service advised me that they had placed the order for me and the additional minutes were immediately available. I was very impressed an apprciated cellular abroad's prompt and reliable service. I will use Cellular Abroad for all of our future trips and recommend you to all of our friends. My trip was fantastic (I went to Sicily), and the phone worked perfectly. Your service was excellent and I will definitely use Cellular Abroad for my next European holiday. I just wanted to send a quick e-mail and say THANK YOU for a great service. The international cell phone worked out great, and the service you guys gave me was top shelf. I will definitely be contacting you in the future for this service again. I was the envy of everyone on our cruise with my cell phone. It was very expensive to use the phone in our stateroom. If I travel out of the country again, I will be sure to use your service. The cell phone worked great while in Paris and Germany. When I travel abroad again, Cellular Abroad will be my first choice! I have been reading Talk Abroad International SIM Card, I travel in Europe Zone 1 all the time and according to your site I can receive calls for free. Please relay my surprise at such a good service. Thank you for your fine service. All went as planned. I'm greatly impressed by Cellular Abroad's efficiency and organization. You can order as far in advance as you like - even months prior to your departure. We will ship your rental at the appropriate date in order for you to receive it prior to your departure. Rentals are shipped ground or express service and will arrive at least 2 business days prior to your set departure date whenever possible. How many minutes do I start off with? Use the rate calculator on the Rates and Features page in order to determine the call, data and text costs. You can order an initial Dollar amount of credit (available in $29 denominations), add call credit as needed during your trip by sending a "short code" or calling Cellular Abroad toll free from the handset or you can request the Auto Top Up Feature which automatically adds $29 once your credit is less than 10 Dollars. What will this cost me? At least 1 $29 top up per phone. Round-trip shipping and handling fee (see below). If you order at least 2 weeks in advance, round-trip Ground shipping is only $12.88. If you are leaving soon, we offer round-trip 2-day Express for $29.96, or Overnight Express for $39.96. Rentals will arrive 2 business days prior to your set departure date. What is the latest I can order a rental phone? You can order up to one business day prior to your departure as long as you call in before to 1:30pm Pacific Time. Exceptions can be made on a limited basis, even if you are leaving early in the morning - we can usually get your phone to you. Please call our 800 number (rather than order via the web) in order to confirm that we can get you a phone rental on time. When do I get the phone? You will receive your cell phone rental two days prior to your departure, unless you require next day delivery. Does the cell phone come charged? Yes it does, but it�s always best to test the battery and charge phone before your departure. Can I charge this phone on my trip? Yes, you will receive an international charger and relevant plug adapters, so you can charge the phone in the U.S. or at your destination. How do I return the phone? If your rental has not shipped, you will only be charged a 5% reserve fee. If your rental has been sent out, you are responsible for the one week rental fee plus the shipping fee. Are there any surcharges or hidden fees? Unless you are roaming outside of the country or countries for which your service is offered, the rates are fixed according to our posted rate chart and coverage areas. All rental customers are subject to our Terms & Conditions. What will the rates be for people calling me from the US? That depends on the international long distance rates charged by their Long Distance Company or international calling card. Does Cellular Abroad offer insurance against loss or damage? Yes, rental insurance is available for $19.50 as an add-on once you add your item to the cart. See what is covered here.